How well can you see in the dark? The sun is what our world revolves around, what gives our planet light, warmth and life. The light of the sun allows us to see and make sense of our surroundings. 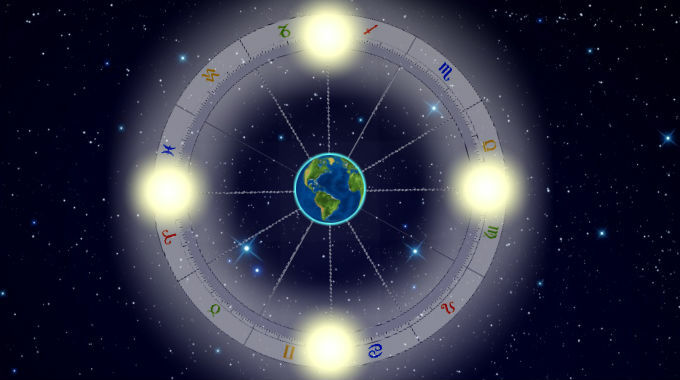 Every year, the Earth comes to the same spot relative to the Sun, and we have organized our calendars and celebrations to this cycle. As a result, our world figuratively and literally revolves around the Sun. The sign the Sun was in at your birth tells you what season your life revolves around, the way you individuate yourself, your own “light” that you shine forth. The Sun shines its light on the topics of the signs it transits through.